Sony will kick off a new livestream program next week featuring PlayStation announcements and updates. A new video program from Sony called State of Play will debut next week, focusing on PS4 and PSVR news and updates. Similar to Nintendo Direct and Inside Xbox, State of Play streams will occur “throughout the year,” and feature trailers, gameplay footage, and all things PlayStation. Sony is skipping E3 2019 this year, opting instead to explore “new and familiar ways” to engage with the community in 2019. State of Play streams seems to be the start. The firm hasn’t announced whether it will host PlayStation Experience event this year, or if it will or won’t attend Paris Games week and gamescom 2019. The inaugural State of Play episode will air Monday, March 25 at 2pm PT, 5pm ET, 9pm UK. You can watch the livestream on Twitch, YouTube, Twitter or Facebook worldwide. Should you miss it, Sony said a VOD edition will be made after the episode airs. 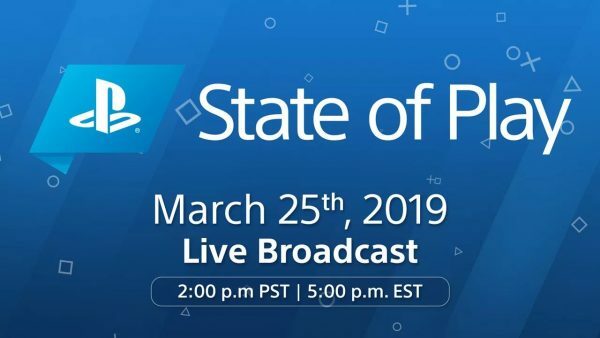 The post Sony will start sharing PlayStation news through a livestream program called State of Play appeared first on VG247.